Custom Place Mats for a children, personalized place mats made to match any theme. These are fantastic and unique kids birthday gifts. 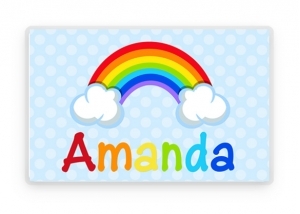 Our custom personalized placemats can even be used with dry erase markers! Wipe clean with damp cloth or sponge. Please allow 1-3 days for your items to ship.